History is about to be made as both University Centre Sparsholt and Winchester university conduct in-depth clinical trials with the Canine Massage Guild on the efficacy of clinical canine massage therapy and, specifically, Lenton Method® A three-tiered, results-driven approach to the treatment of musculoskeletal problems in dogs, the Lenton Method® is taught to Canine Massage Therapy Centre students during their rigorous 2 year Clinical Canine Massage Practitioner Programme. The programme is externally accredited with LANTRA, a nationally recognised awarding body regulated by OFQUAL, SQA, and Qualification Wales. ‘the 7 Protocols’, a unique set of direct myofascial release techniques that rehabilitate musculoskeletal injuries and provide chronic pain management for orthopaedic conditions such as arthritis and hip dysplasia. Prior to its application, Guild therapists prepare the tissue by using a selection of other techniques from the 4 disciplines of Swedish, Sports, Deep Tissue and Myofascial Release massage. University Centre Sparsholt is one of the UK’s leading providers of undergraduate courses for the land and environment. It has strong links with The Royal College of Veterinary Surgeons as well as a large number of RCVS Approved Training Veterinary Practices in the south of England. Winchester University’s Centre for Animal Welfare is an interdisciplinary centre that undertakes research, teaching and public engagement in the field of animal welfare. In the most recent Research Excellence Framework (REF 2014) 82 percent of its submitted research was considered to be recognised internationally, with seven out of eight units of assessment achieving world-leading quality. Until now the effectiveness of the Lenton Method® has not been empirically tested (although there is much supporting anecdotal evidence). These clinical trials will use a suite of tools to determine statistical predictors of the Lenton Method® for a range of disease and rehabilitation situations. There will also be a double-blind trial using a clinical sample following veterinary referral. “We recognise the importance of clinical trials not being influenced by the expectations of the participants. Independent veterinary surgeons will work collaboratively with University Centre Sparsholt and University of Winchester to offer an independent voice to assess the measurable outcomes of the effectiveness of the Lenton Method. “Our goal is for all owners to have access to affordable, effective and ethical clinical canine massage for their dogs, whether they are an agility athlete or simply a beloved pet. Having the Lenton Method selected by these prestigious universities for in-depth clinical trials will give us a scientifically-proven approach that owners can trust and which, we hope, will also raise the bar for the profession as a whole. 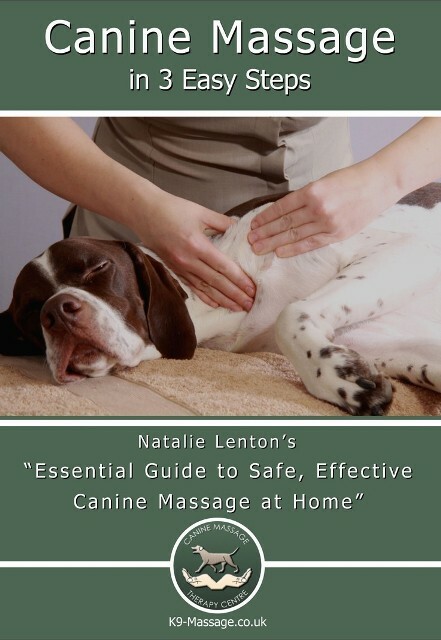 A wide sample of historical and contemporaneous data including consultation forms, submitted vet reports and owner feedback will be collated from across multiple Canine Massage Guild practitioners throughout the United Kingdom and Ireland. This will include data from every Kennel Club group classification and mixed breeds, from every age of dog and role including pets, working dogs and sporting dogs, and with known disabilities. Clinical Canine Massage therapy as practised by members of the Canine Massage Guild typically sees results in 1-3 sessions based on an ethical client approach model and the unique integrative blend of 4 disciplines of massage alongside the unique Lenton Method®. For chronic pain management, soft tissue injury rehabilitation, and orthopaedic and neurological condition support, clinical canine massage blends myofascial release (MFR), both the direct and indirect approach, sports massage, deep tissue massage and Swedish massage. It also incorporates the trademarked MFR protocols from the Lenton Method®; a three-pronged approach that incorporates advanced palpation skills, BodyMapping (an actual map of the body that is used to determine common areas of muscular injury and issue as well as myofascial pain developed over the course of 10 years) and ‘The 7 Protocols’, a unique set of myofascial release techniques that produce long lasting results. The initial Clinical Canine Massage Practitioner Programme is delivered by the Canine Massage Therapy Centre Ltd (CMTC). over a period of 2 years and it is externally accredited by LANTRA. Upon completion and pass of written and practical examinations, therapists are able to join the Canine Massage Guild and commit to a minimum 25 hours a year of Continuing Professional Development (CPD). The CMTC provides exclusive CPD courses for Guild members including manual lymphatic drainage, facilitated stretching, skill reviews, neuromuscular refacilitation, ventral MFR and other clinically appropriate bodywork courses. Animal welfare, consumer protection, clarity of law and professional standards are the Guild’s core values alongside providing the best service possible to dogs, their owners and vets. The online therapist register includes members throughout the UK and Ireland.